Hong Kong has become more “China-centric,” enabling Singapore to take the lead when multinational companies look to set up their Asian headquarters in the region, according to the country’s Economic Development Board. With Hong Kong becoming more focused since 1997 on servicing the massive Chinese economy, it’s given Singapore a leg up as a hub for companies’ Asia-Pacific operations, said Beh Swan Gin, chairman of the EDB, a government agency that helps attract investment to the Southeast Asian city. Voir aussi : Notre fiche pays : Pourquoi Singapour ? About 37,400 international companies base their operations out of Singapore, including 7,000 multinational corporations, with more than half of those running their Asia-Pacific businesses from the city state, according to the EDB website. 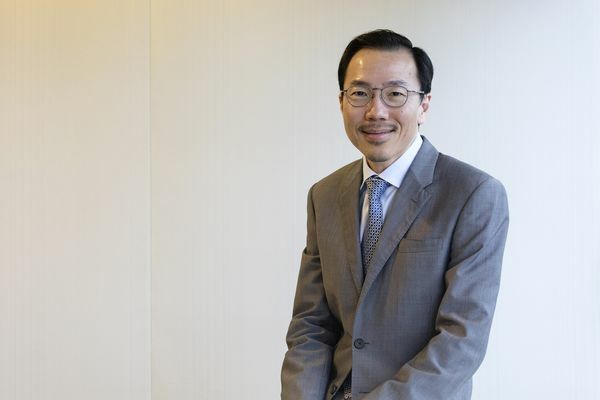 Beh said he sees Hong Kong continuing to “grow in importance,” and that companies looking to tap the Chinese market will probably consider Hong Kong, along with Shanghai or Beijing, to base those operations. Hong Kong is still a leader when it comes to financial activity, boasting the world’s fourth-largest stock market. While Singapore’s is a fraction of the size, it’s the largest in Southeast Asia. Beh sees Singapore’s lead as a magnet for multinationals continuing to widen as it bills itself as an innovation-led economy, attracting investors with its strong spending on research and development, a still-generous tax regime, and targeted labor laws. Singapore’s government spends the equivalent of about 1 percent of gross domestic product on research and development, while the private sector contributes about 1.3 percent of GDP, said Beh. Authorities are focused on raising the overall R&D expenditure to about 3 percent of GDP, in line with other small, innovation-focused economies like Sweden and Switzerland, Beh said. Switzerland tallied about 3.4 percent in 2015 while Sweden was at 3.3 percent, according to figures from the Organisation for Economic Co-operation and Development. Businesses scored an extra incentive from Singapore’s 2018 budget to boost that spending: The tax deduction for R&D project costs and consumables was raised to 250 percent from 150 percent. While some, particularly smaller, firms have reported difficulty in hiring staff amid stricter rules for foreign workers since 2011, Beh said he’s confident that hasn’t hurt Singapore’s competitiveness. The government’s focus on attracting higher-skilled labor is more in line with the kind of businesses that Singapore wants to have based in the city, he said.